FMany chemotherapeutics act by damaging the DNA. Since cancer cells divide more often than most normal cells, they react more sensitive to DNA damaging agents. One exception are oocytes. To prevent birth defects they initiate a cellular death program if DNA damage is detected. This process, called apoptosis, is triggered in oocytes by the protein p63. Oocytes contain a high concentration of an oocyte-specific isoform of p63 which plays a key role as a quality control factor in causing infertility. Scientists in the laboratory of Prof Volker Dötsch at the Institute for Biophysical Chemistry of Goethe University have now deciphered the mechanism leading to premature loss of the oocyte pool caused by treatment with chemotherapy. In non-damaged oocytes p63 exists in an inactive form. DNA damage caused by chemo- or radiotherapy results in the modification of p63 with phosphate groups which triggers a conformational change to the active form. Active p63 starts the cell death program which leads to the elimination of the oocyte. The scientists describe in the online edition of the journal Nature Structural and Molecular Biology the molecular details of this activation mechanism and the enzymes responsible for it. Publication: Tuppi M., Kehrloesser S., Coutandin D.W. et al. 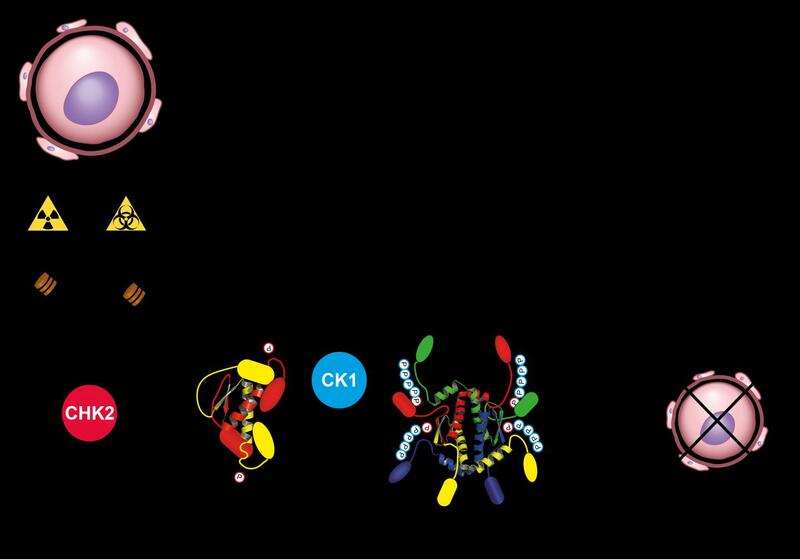 Oocyte DNA damage quality control requires consecutive interplay of CHK2 and CK1 to activate p63, in: Nature Structural and Molecular Biology.